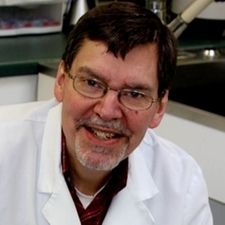 Dr. Richard E. Kaas has been practicing small animal veterinary medicine in the Nashua/Merrimack area for over 40 years. He graduated from Michigan State University in 1972, and has been a practice owner for 35 years. Mercy originally started out as Ferry Road Animal Hospital located in Nashua for 21 years. Dr. Kaas received his first taste of veterinary medicine when he worked for Dr. Frederick Clark as a kennel boy in his early teens. "Years later, I can truly say I still enjoy what I do. Veterinary medicine has changed so incredibly since those days. When you are dealing with living creatures, there is always something new to learn. Our knowledge and ability to help pets live longer and healthier lives has grown tremendously. What has not changed is the importance of each individual pet to their family. Our 'job' as veterinarians is to come along side each family and help them through all phases of their pet's life, from pediatric to geriatric, and in the process provide their pets with the best veterinary care possible. This continues to be a joy and calling on my life." Dr. Kaas enjoys getting to know the families who come to Mercy. His practice interests include surgery and geriatrics. His clients and staff characterize him as having a gentle nature. It is not unlike him to call clients at home to enquire on the progress of a pets recovery, check on hospitalized animals in the middle of the night, or bring a patient home for the night for observation. Dr. Kaas and his family have one cat and two dogs- a very low number for them! They recently welcomed a rescue Belgian Shepherd from Alabama. When spending time away from Mercy, Dr. Kaas enjoys being with his family, playing his guitar, and being involved in church activities. Practice owner for 35 years! 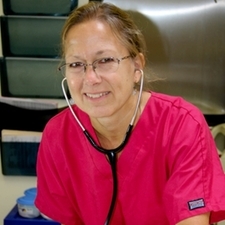 Dr. Vicki Dapolito is a graduate of the University Of Illinois College Of Veterinary Medicine. She has practiced at various hospitals in the New England area since 1988. Her special areas of interest are surgery and dentistry and, overall, she loves the variety of options offered by her career choice. She resides in Brookline, NH with her husband, two children, two cats and her Border Collie, Sophie. Her vast experience has shaped her into a veterinarian with remarkable empathy. She displays a level of patience that all clients and staff members observe on a daily basis. Dr. Dapolito discovered her love for animals and all living things as a young girl, collecting and caring for snakes, insects, and baby birds. She finds that she is constantly learning new things and challenged by her career choice, therefore, she cannot imagine any other career that would make her happier. 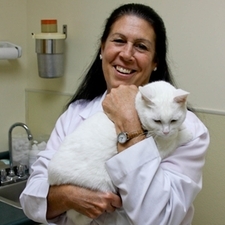 She is celebrating 30 years as a veterinarian this year and is looking forward to many more years of practice. Dr. Dapolito enjoys outdoor activities including kayaking, hiking, tennis, gardening, and skiing. Mercy welcomed her as an associate veterinarian in 2009. Dr. Roberta Lawson grew up in Hudson, NH and graduated from Alvirne HS in 1986. She received her Bachelors in Animal Science from UNH in 1990, and her Doctor of Veterinary Medicine from the Ohio State University in 1994. 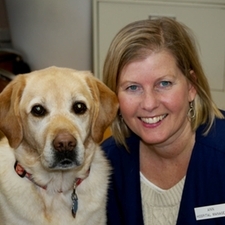 She has been with Mercy Animal Hospital since 2002. She currently lives in Kensington, NH with her husband, three children, two dogs, one cat, and a rabbit. As a veterinarian, her attention to detail and time spent with each patient is noteworthy. Dr. Lawson has taken an interest in vegan cooking over the last few years, and the staff at Mercy always enjoys tasting her creations. In addition to her culinary adventures, she enjoys the outdoors by swimming and attending sporting events in which her children participate. 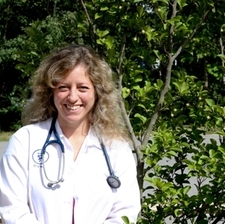 Dr. Rebecca Grimes is originally from Connecticut, but attended Michigan State University for both undergraduate and Veterinary School. NH has been her home for 28 years, and specifically Manchester for 21 years with her husband and two cats. She welcomes visits from any of her four adult children. "Growing up on a farm, I knew I wanted to pursue a career involving animals. My love for medicine started in biology class and continued to grow with more exposure. Combining these two, naturally led me to veterinary medicine. This was a decision I made in high school and continued to pursue in my undergraduate studies." Dr. Grimes enjoys reading, gardening, sewing, travel, chocolate, and serving in her church. Mercy welcomed Dr. Grimes to the team early in 2012. She is especially passionate about dental health, client education, and nutritional needs. She has also played a significant role in educating the technicians who work with her. If you hear laughter within the walls at Mercy, you are no doubt hearing her infectious laugh. Ann Lucas is the hospital manager at Mercy where she has been on staff for 11 years. If you don't catch her at the hospital, you will likely see her out walking her two labs, Henry and Hazel. Ann grew up in the Boston area, but now calls New Hampshire home. Ann enjoys spending her free time with her husband Mark and her two grown children Patrick and Kelsey. Before coming to Mercy, Ann taught dance and gymastics for 30 years. When Ann got her first labrador, Maggie, she quickly learned of the invaluable relationship that is created between pets and their owners. From this point on, Ann knew she wanted a career that helped foster this relationship for all pet owners. 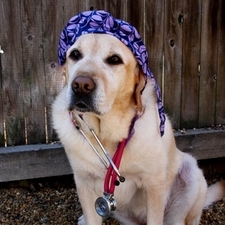 Our technicians and assistants work the most closely with your animals and the doctors. They help in office calls, obtain samples for laboratory testing, place i.v.catheters, monitor fluid administration, assist in in-patient care, surgical procedures, dentistries and radiology. Our technicians go through continual training while being employed at Mercy. In addition, they attend veterinary meetings each year to earn continuing education credits. 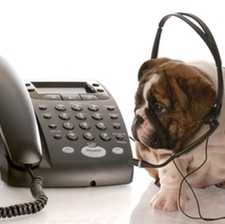 Our receptionists are the communication specialists. They help to keep all the staff organized and facilitate the correspondence between clients and doctors. We are grateful to have receptionists who have been with us for many years. Ongoing training is provided for each receptionist at Mercy. They each have significant years of experience at their position. Our kennel attendants are the hard workers behind the scenes. They keep our facility clean as well as tending to all animals in the building. They come in early and stay late to make sure all our boarding and hospitalized animals have everything they need, including many walks throughout the day. 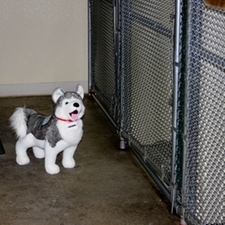 Ongoing training is provided for each kennel attendant at Mercy. Each of them has had previous animal related experience.